Thanks for visiting This Old 340 blog site. Welcome! 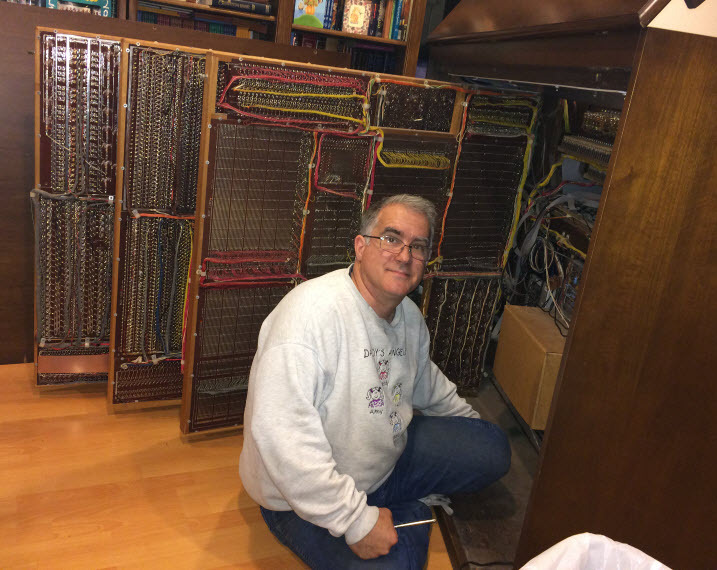 My name is Eric Mack and I created this blog to share my adventures and information as I restore and learn to play my Rodgers 340 “Century” Theater Organ. For the past several years, I have been on a journey to acquire, restore and eventually learn to play a theater organ. Two years ago, I had the opportunity to obtain a Rodgers 340 and the adventure began in earnest. There’s much more to the story which I will share later. For now, I’m glad you are here. The purpose of this site to is to share information on this magnificent organ and connect with fellow enthusiasts. I have collected a great deal of technical information on this organ from many people who were kind enough to share with me. Now I want to give back. The site is not quite live, so if you have stumbled in early, please be patient as I moved content from my computer into this blog. Sources of information you will find here comes from gifts, reading, and lessons learned. Special Thanks to the many helpful people I have met on the group and The Organ Forum who have helped me along the way. I plan to update this page to include my organ story and other information. Please check back.